AWESOME BOOKS is one of my favourite online bookstores. There's a huge range of used books from only £1.88 each in the Bargain Bin section! Better still….UK delivery is FREE! The Bargain Bin is the most popular section of the AWESOME BOOKS website. Here you'll find good quality used books from only £1.88 each! The Bargain Bin is constantly changing with new books being added every day. On average there are 300,000 different titles in the Bargain Bin at any one time, so there is bound to be something that catches your eye! What do you think of this Awesomebooks voucher? Don’t forget to add the delivery cost at Amazon which is unlikely to be free for Used Books. At Awesome Books DELIVERY IS FREE. I must agree with you a second hand book I bought last week but via ebay - in extra good condition - was £3.22 including p&p, but was £6.05 on this site, I looked no further. Incidentally I found when looking for that book ebay prices were much lower than Amazon's. 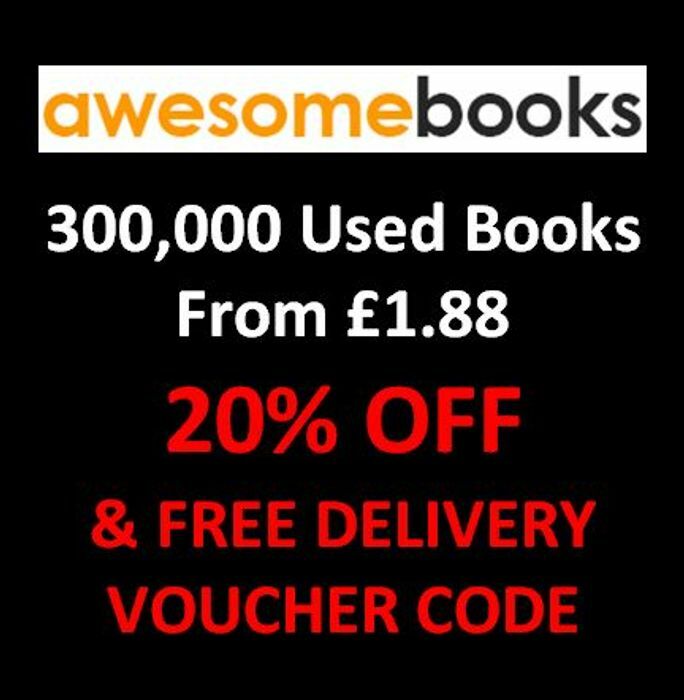 There are thousands of books in the Awesome Books BARGAIN BIN for less than £2 with FREE DELIVERY, and an extra 20% off with code. The vast majority of those will be cheaper than buying from Amazon. Well worth a browse, or search, for your favourite author or subject matter. For more expensive titles do a price comparison on Amazon and eBay (dont forget to add the Amazon or eBay delivery costs if charged) - remember delivery is free at Awesome Books. Ziad4321 Correct - free delivery with Awesome!